In Massachusetts, a special assessment or betterment is a special property tax that is allowed when real property within a specific area gets a special advantage from the construction of a public improvement. When homes abut or are near the improvement and are especially benefited by it, some or all of the costs of the improvement may be assessed on those homes. You may have questions about special assessments on your home or a home that you are interested in buying. At Pulgini & Norton, our Boston real estate attorneys can help you determine whether a special assessment is lawful and which consequences it may have. Special assessments of project costs in Massachusetts are supposed to be proportionate and reasonable. They must not be considerably greater than any special benefits that you might receive from the improvement as a homeowner. Any enhancements to the value of your home due to the construction are considered special benefits. They are evaluated based on how much the improvement increases your home's fair market value for the purposes of sales, considering the different uses to which the property could be put. In order to impose a special assessment, the Commonwealth or a local governmental entity, such as a city, must have the statutory authority to impose it. The board of officers of the entity will need to vote or make a formal order to specially assess some or all of the cost of the public improvement to residents in the area. Street layouts, water distribution systems, and sidewalk construction are examples of improvements for which special assessments may be imposed. For example, cities may assess all or part of the cost of pipes, materials, and labor for installing water distribution plants under Massachusetts General Law Chapter 40 §42G. The city council needs to allow the special assessment by voting or passing an ordinance or bylaw. In the case of sidewalks, the city may assess only up to 50% of the cost of constructing or reconstructing the sidewalk. Special assessments are liens on a property that receives a benefit from the improvement. However, in order to enforce the collection of a special assessment, the Assessing Board must create a valid lien. The Assessing Board may create a lien on your property by recording the special assessment (or betterment). For a water assessment, it needs to record the order, a list of ways and parcels not abutting the ways that will be assessed, and a list of the owners of each parcel to be assessed. For a sewer or sidewalk assessment, the Assessing Board must record the order and a list of ways, as well as a list of the owners of each parcel to be assessed. A lien on your property exists from the time of the recording and ends two years from October 1 of the year that this special assessment is initially added to your tax bill or the last apportioned amount is set forth on the tax bill, whichever arrives later, if there has been a recorded alienation at that time. If there has been no recorded alienation, you should be aware that the lien continues on the home until that happens. We can help you address any issues that arise in connection with special assessments on your residential property. At Pulgini & Norton, our Boston real estate lawyers provide knowledgeable legal representation to buyers, sellers, and lenders in Waltham, Quincy, and Malden, among other Massachusetts communities. 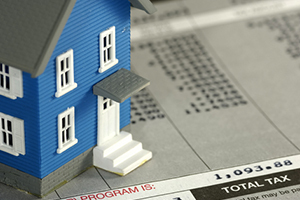 For a consultation with a property tax attorney, contact us online or call us at 781-843-2200.